Personally, I find it a good rule to approach all written material with a very open mind and to take nothing you’ve read on trust — particularly when it comes to the launch of a new product or drug. I have previously covered the subject of medical ghostwriting and how it has been used to virtually rewrite scientific trials if the outcome is not to the drug companies satisfaction, but I have just become aware of a new twist. While I knew this practice had extended to many new drugs being brought on to the market, it has just come to light in relation to Prempro HRT just how far that misinformation has gone. We know this because of the very first academic analysis of 1500 documents unsealed in a lawsuit against pharmaceutical giant Wyeth (now part of Pfizer). 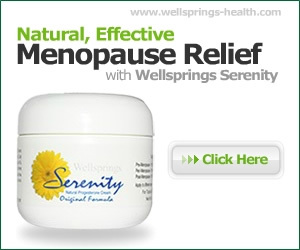 The litigation was filed in July 2009 against menopausal hormone manufacturers by 14,000 women whose claims related to the development of breast cancer while taking the hormone therapy Prempro (conjugated equine estrogens – horse urine to you and me). The case itself has been well documented, and the facts that were revealed during it came as quite a shock and it is that disquiet which is behind the US federal court decision to release the documents to the public. An investigation of these documents by Dr. Adriane Fugh-Berman, associate professor in the Department of Physiology at Georgetown University Medical Center in Washington DC was just published in PLoS Medicine. She analyzed dozens of ghostwritten reviews and commentaries about Prempro which were published in medical journals and journal supplements. Her conclusion? No prizes for guessing what those competing therapies were — the pharmaceutical companies have never been keen on alternatives to HRT such as bio-identical natural hormones like progesterone. These articles were widely circulated to physicians directly and also to the drug salesmen who represent the products of pharmaceutical companies like Wyeth. They were used to convince doctors that Prempro was a good product and to inform them about how and why it should be given to menopausal women. It was certainly effective as a campaign because it was enthusiastically prescribed by doctors and resulted in millions of packs of Prempro being sold. Just why did doctors fall for this? The simple answer is that the information was presented to them in a form that they trusted — that is as respectable research and scientific reports. The problem is that any original research was ‘spun’ so that they received a misleading account of both the benefits and drawbacks to the drug. This was done by hiring DesignWrite, a medical education and communication company to produce ghostwritten articles that took the basic research and in many cases turned it on its head. Well what is wrong with a bit of creative writing? As a writer and creative coach myself I could say nothing at all, but there is a great deal that is seriously wrong when it comes to distorting the facts that potentially have fatal effects on women’s health. How did they do this? Firstly, the ghostwriters were told to mitigate the perceived risks of breast cancer associated with it and also to defend and promote alleged cardiovascular benefits of HRT. Alleged is certainly right as the supposed facts presented were unsupported by scientific evidence and in fact the reverse was certainly already known; that there are risks associated with HRT and cardiovascular disease. Secondly, Wyeth also used ghostwriters to promote a range of other conditions for which HRT might be beneficial and for which there is absolutely no proof whatsoever such as the prevention of dementia, Parkinson’s disease, vision problems, and even wrinkles. This aspect of their work is certainly well known to me, as at one time I seriously considered writing a small pamphlet entitled “101 uses of HRT you never knew about” because every time there was any negative press about HRT a positive report for a previously unknown use would hit the media the following week. So why would they go to all this trouble? The answer of course, as ever, is profit because these misleading reports enabled them to sell a great deal more of their product. It was certainly a profitable business for the ghostwriters as just for Prempro alone they were paid between $20-$25,000 an article and in total produced 20 articles which reflected the positive spin that Wyeth wanted to have put on their product.